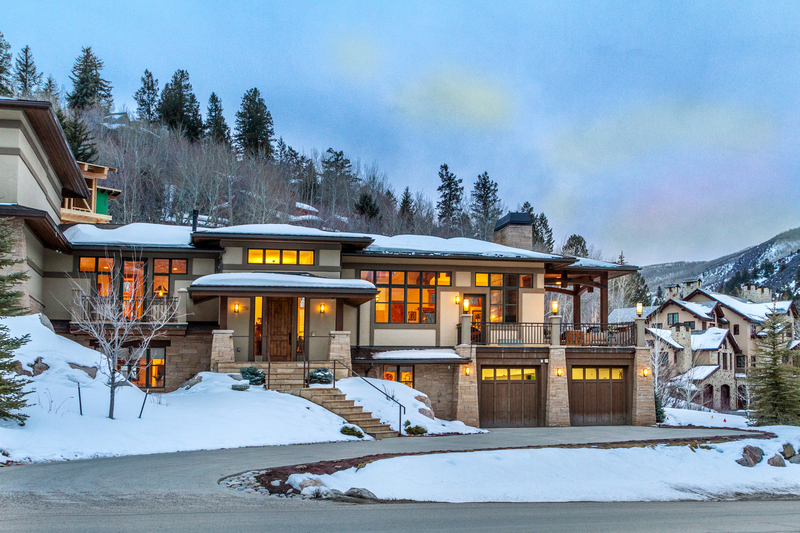 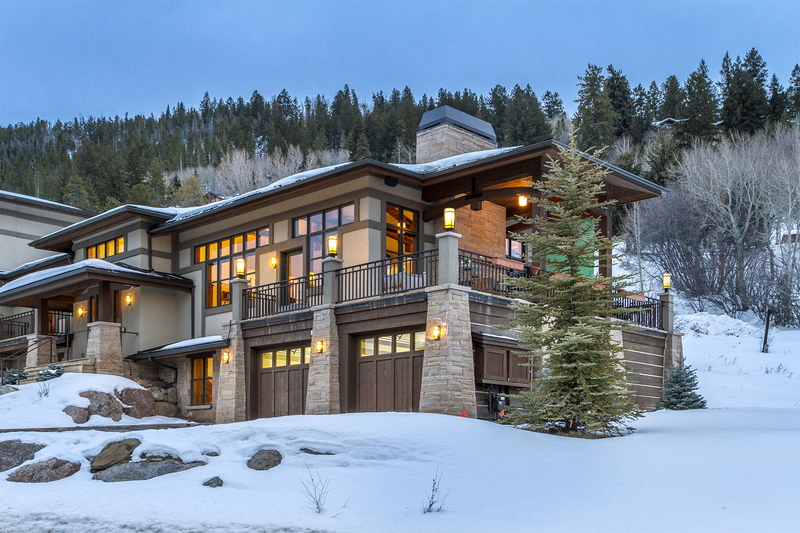 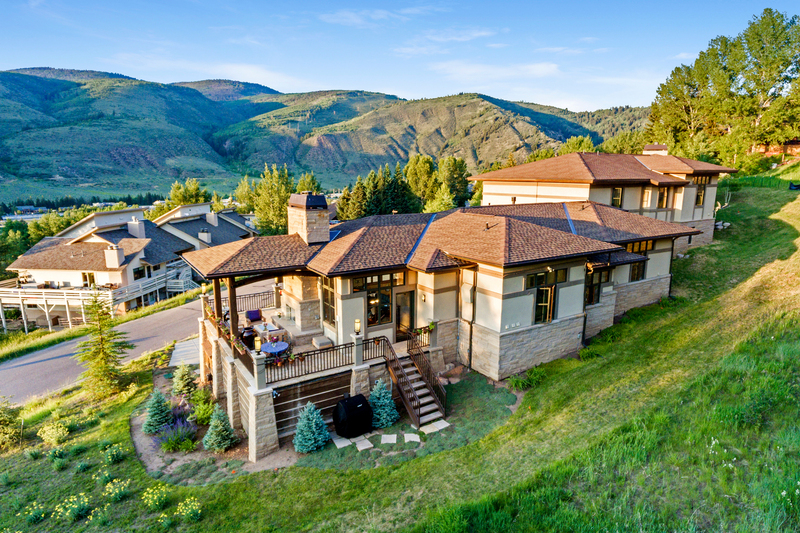 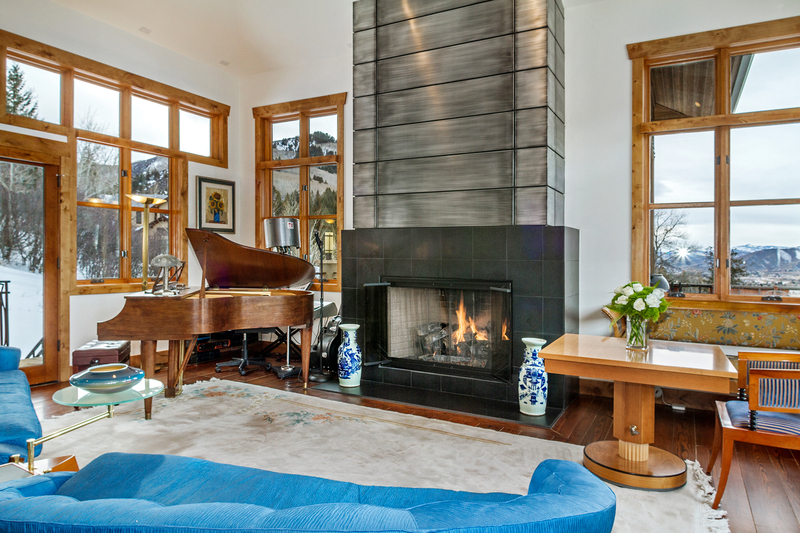 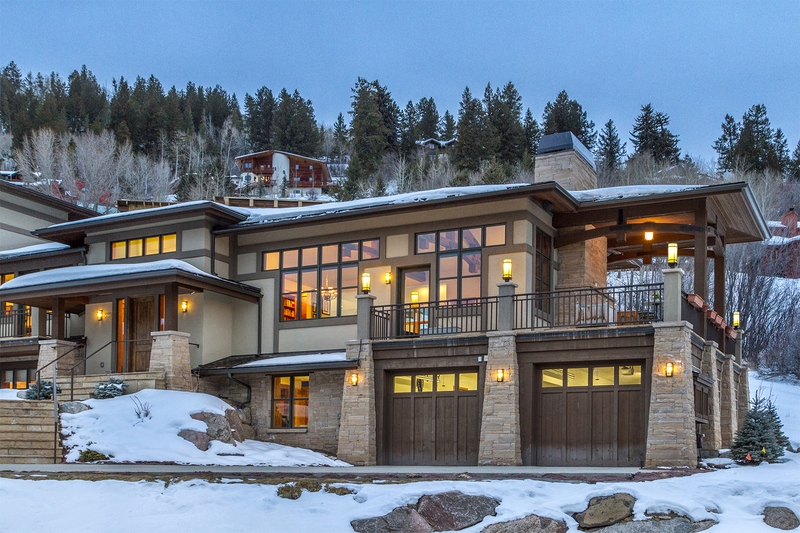 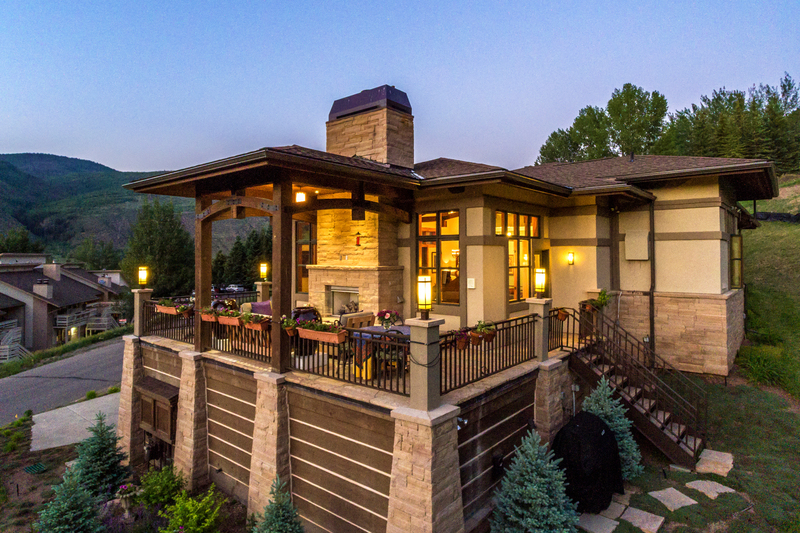 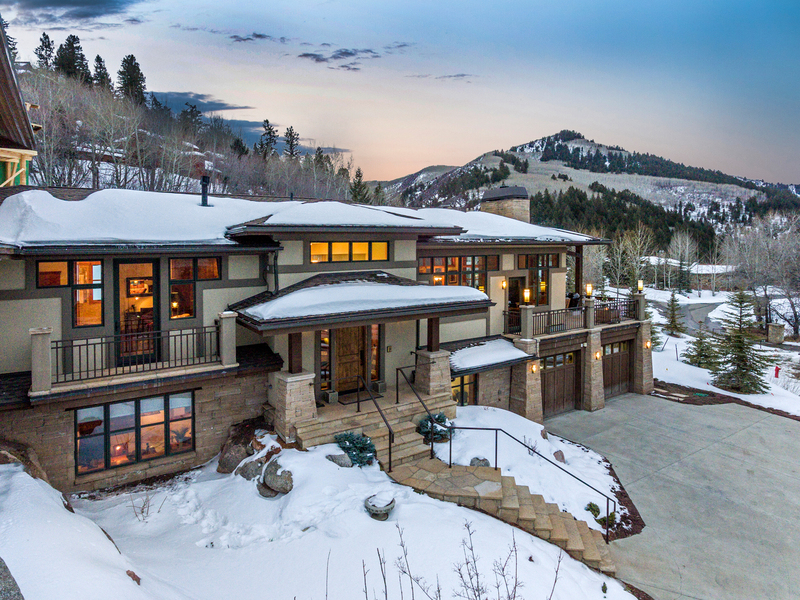 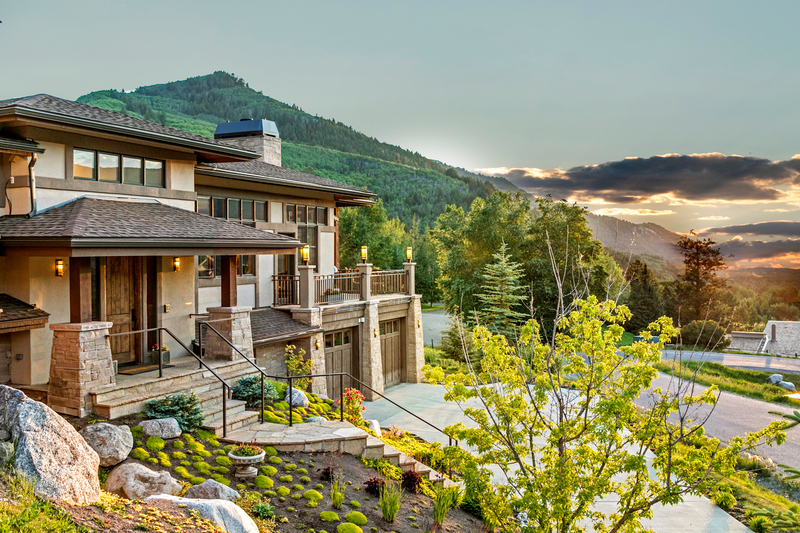 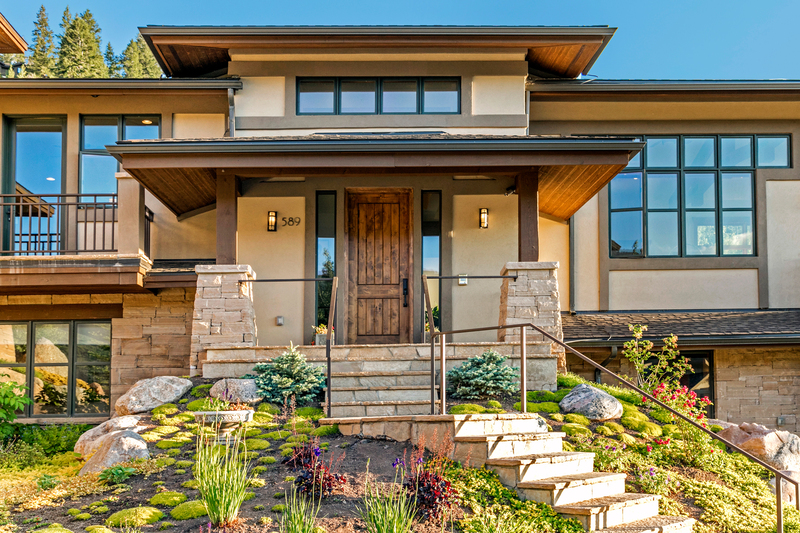 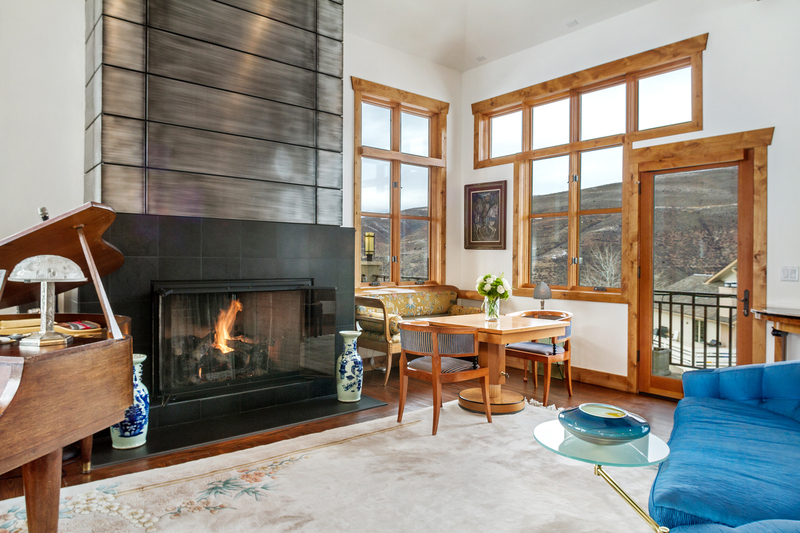 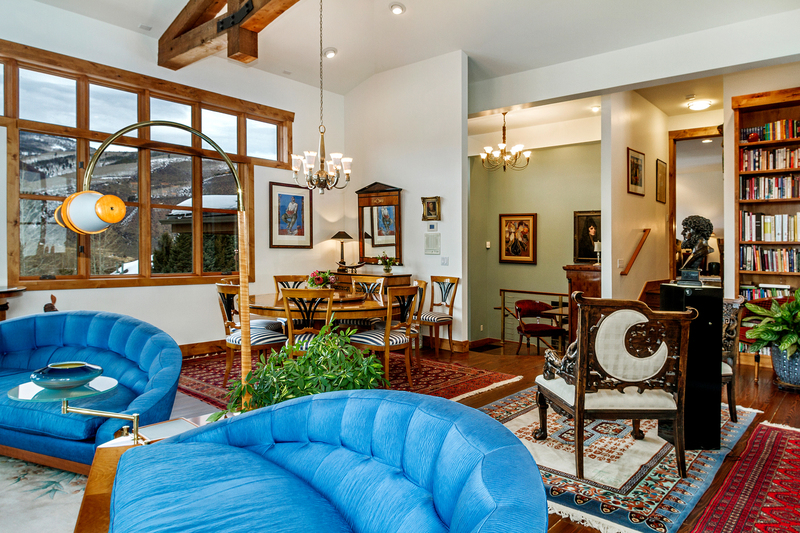 This beautiful, mountain contemporary 3-bedroom / 5-bathroom, plus a family room, residence is inspired by Frank Lloyd Wright’s Prairie-style buildings and situated on coveted Whiskey Hill in EagleVail. 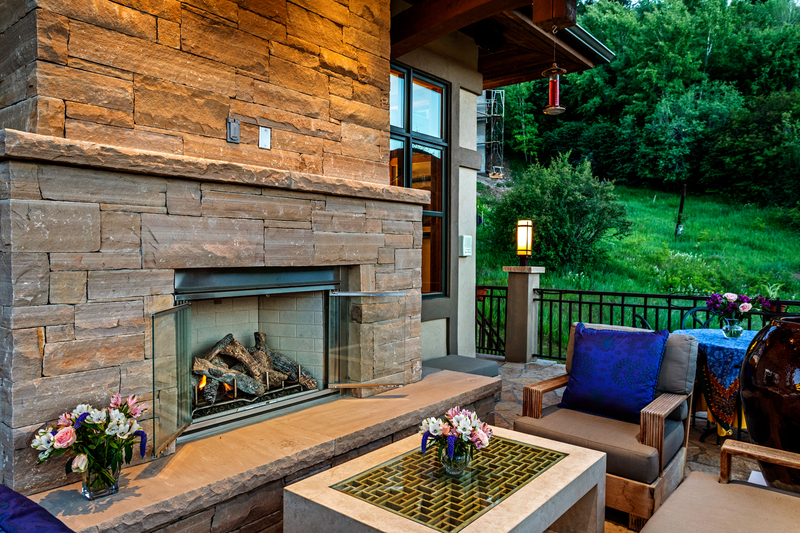 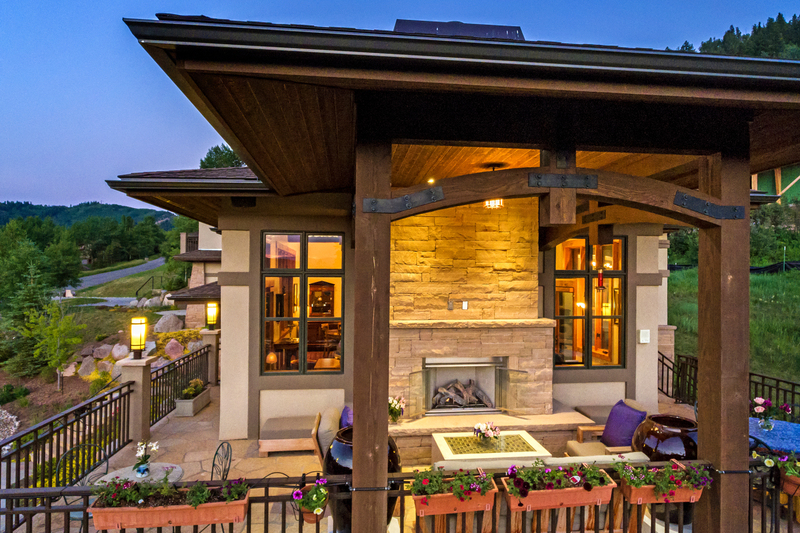 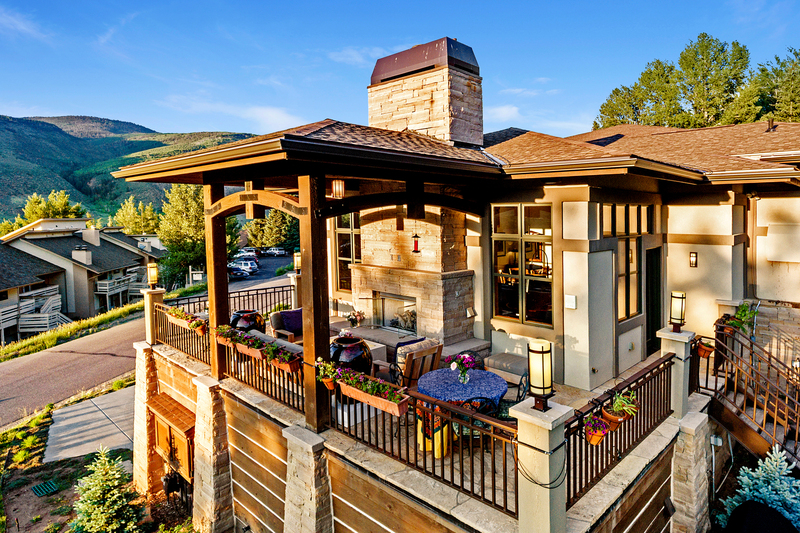 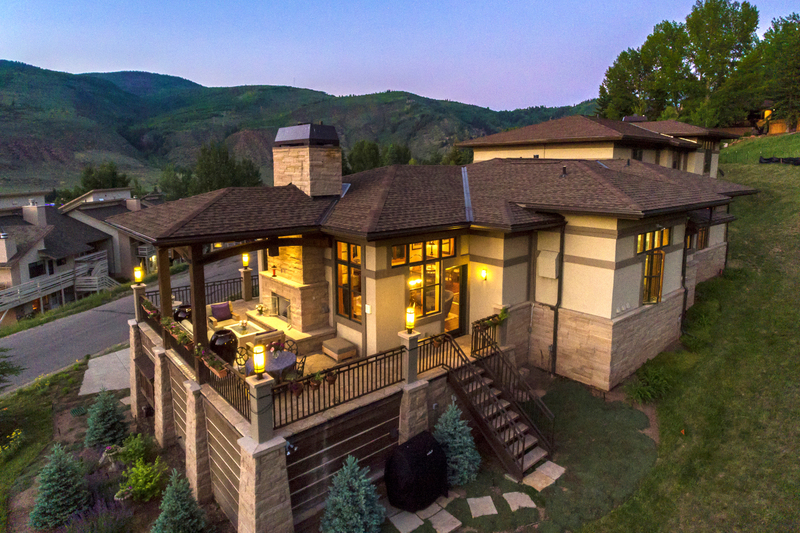 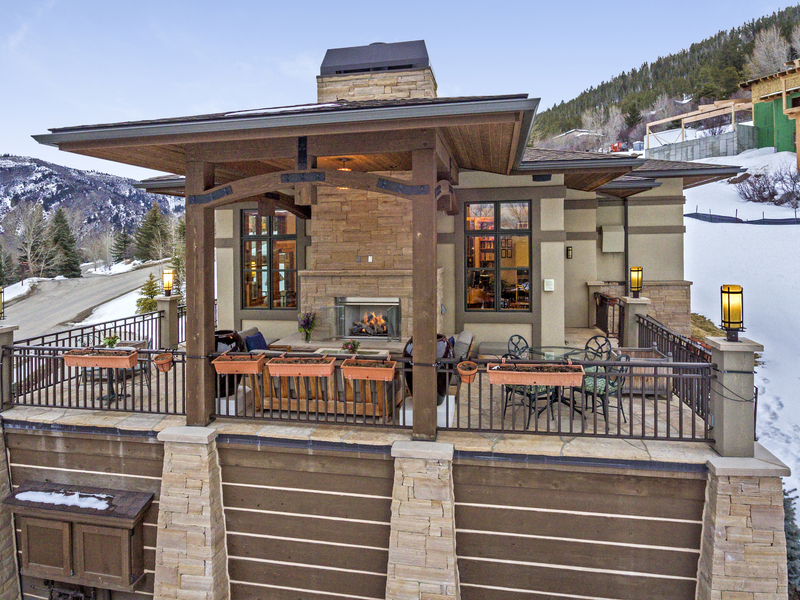 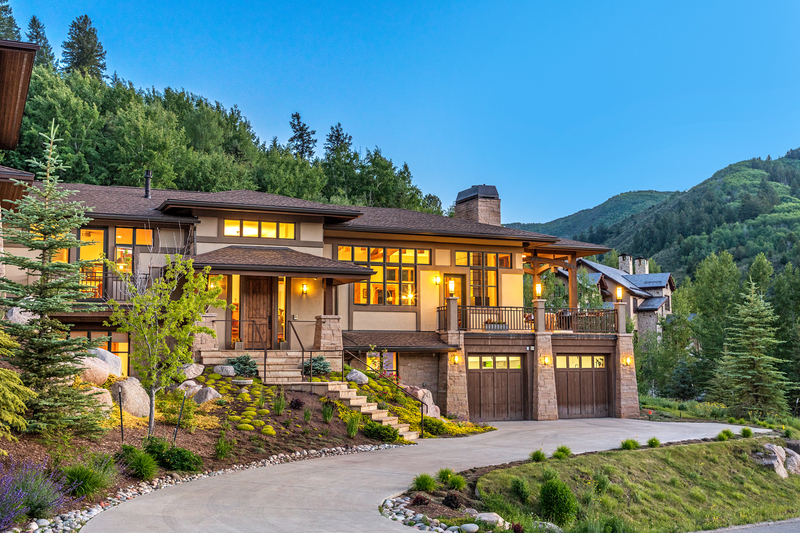 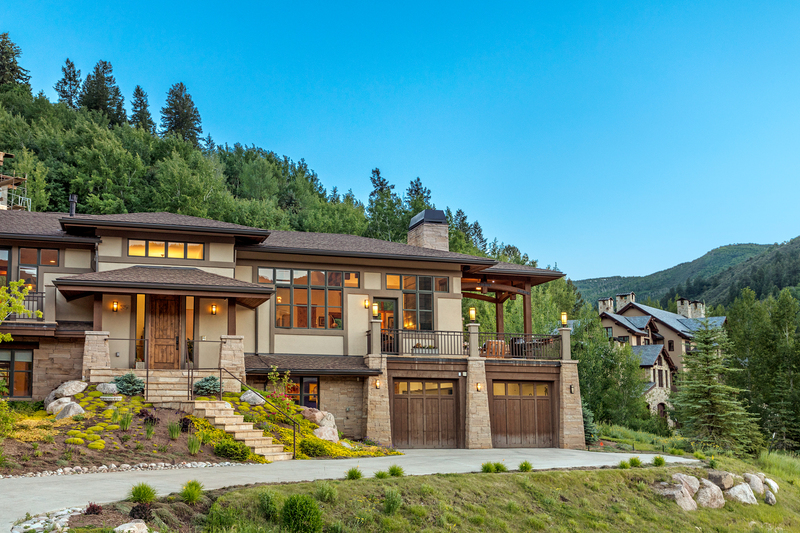 A low-pitched roof and a deep overhang accommodate an outside living space with a stunning gas fireplace that takes advantage of the western Vail Valley views and amazing sunsets, perfect for summer nights in the Rocky Mountains. 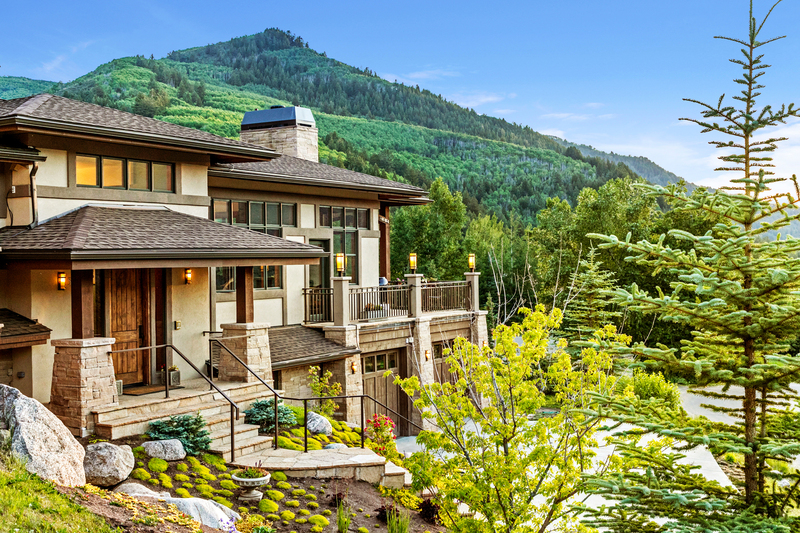 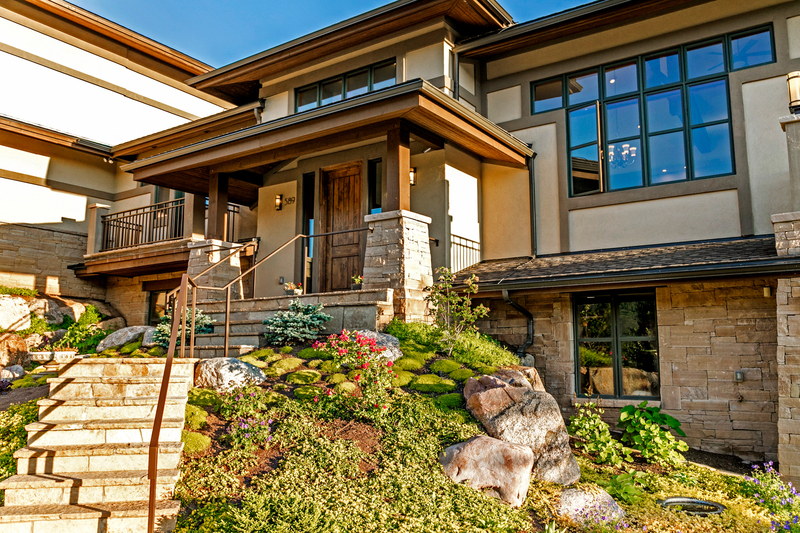 An expanse of both vertical and horizontal windows harnesses the mountain views from inside the home while bold, craftsman lighting fixtures complete the exterior bringing beauty and warmth to the horizontal floor plan. 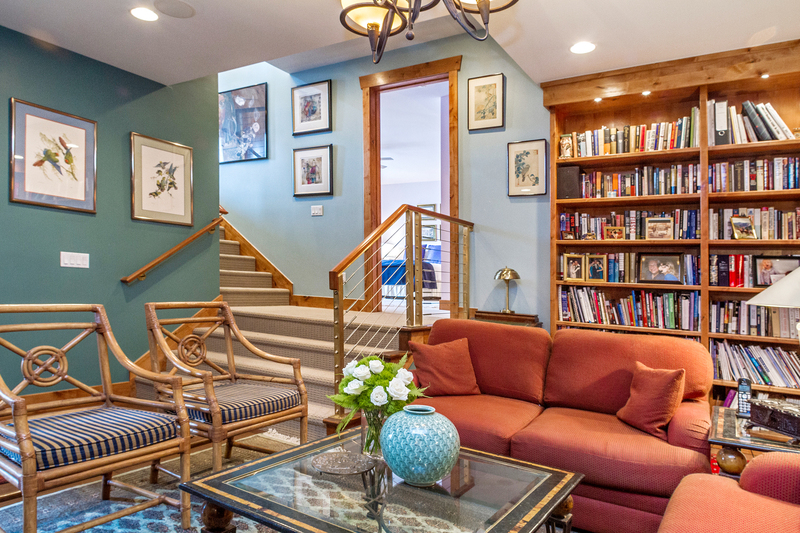 Upon entering the home’s secluded foyer, you step up and into the great room’s open floor plan. 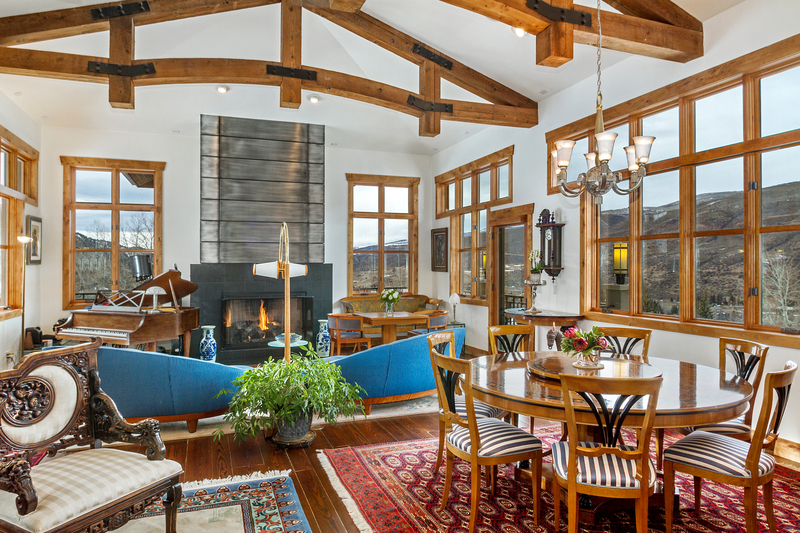 The geometric, vaulted ceiling and added curvature to the wood beams bring focus to the modern, statement fireplace — a centerpiece on the main floor. 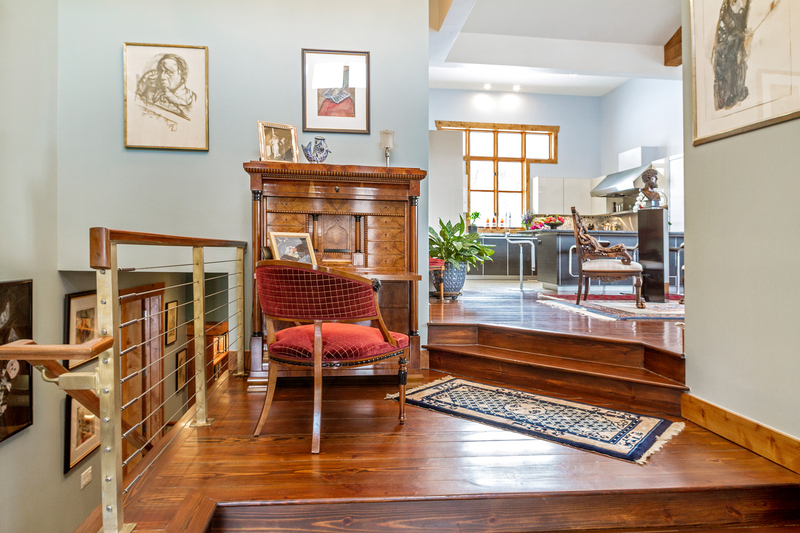 The same knotty alder also frames each window within the home which contrasts beautifully with the wide-plank, dark pine floors creating harmonious balance. 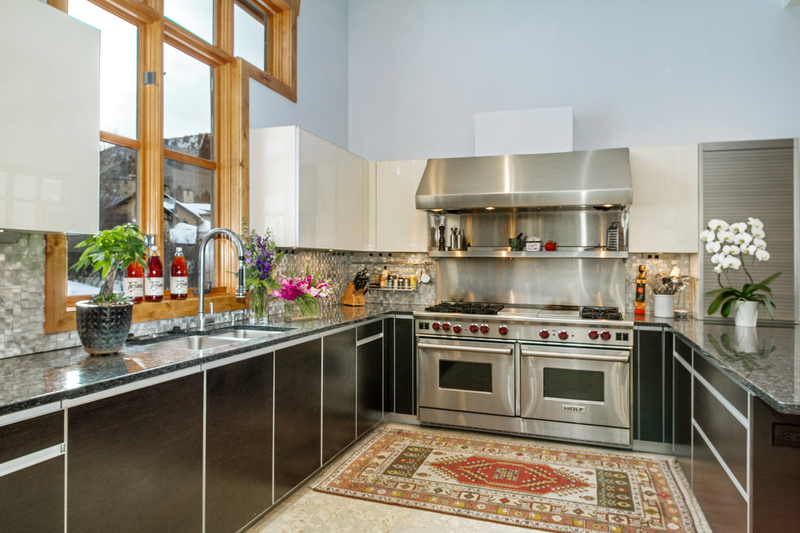 A custom designed 275-square-foot chef’s kitchen takes advantage of the southern wall with an abundance of windows to let in natural light. 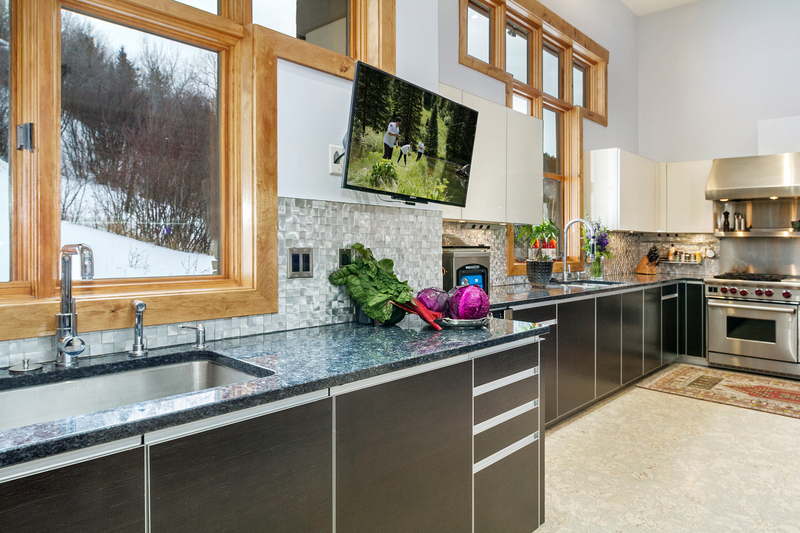 This highly functional kitchen was redesigned with cooking and entertaining in mind. 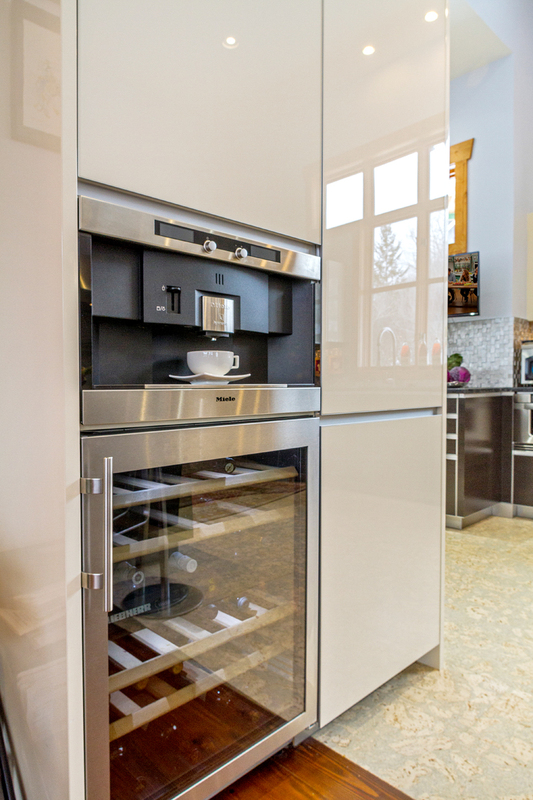 With a separate section for the sous chef to prepare meals, you will find Sub-Zero refrigerator and freezer drawers, a hot tap and built-in microwave. 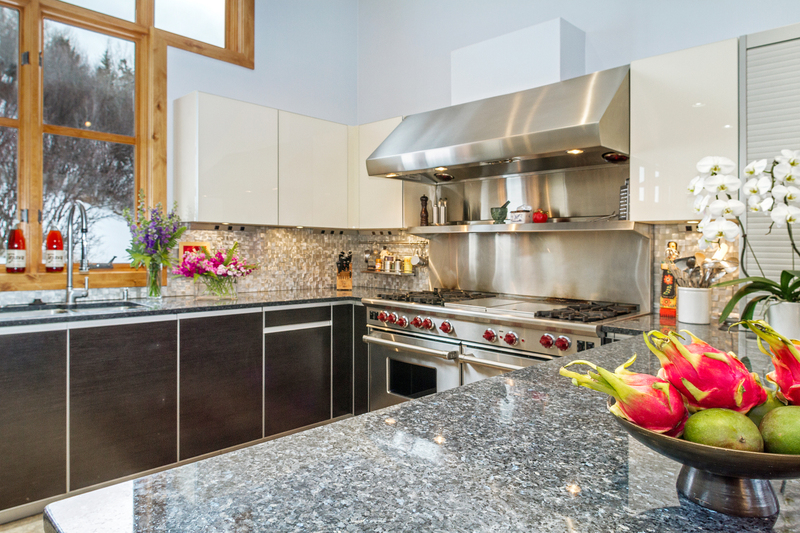 The other end of the kitchen is set with a double oven for the chef to cook a meal while guests can socialize with them around the blue pearl granite countertop. 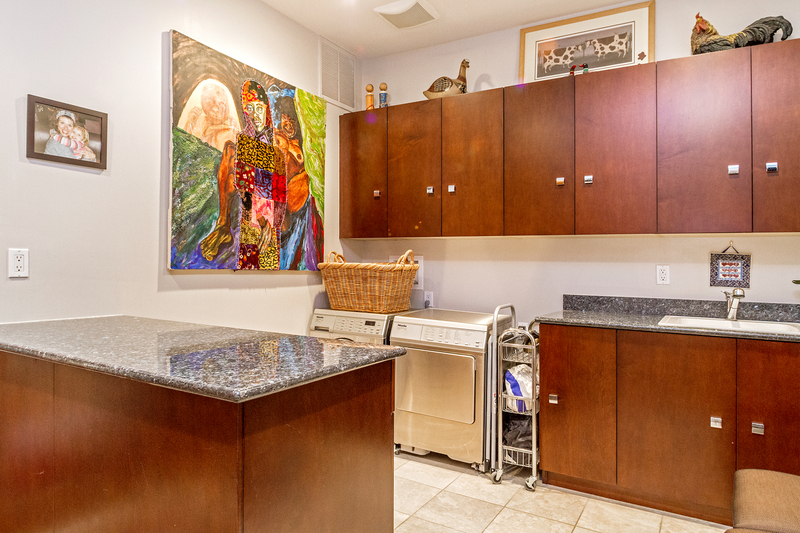 Essential for a good kitchen design, each station is equipped with stainless-steel appliances, individual sinks and dishwashers. 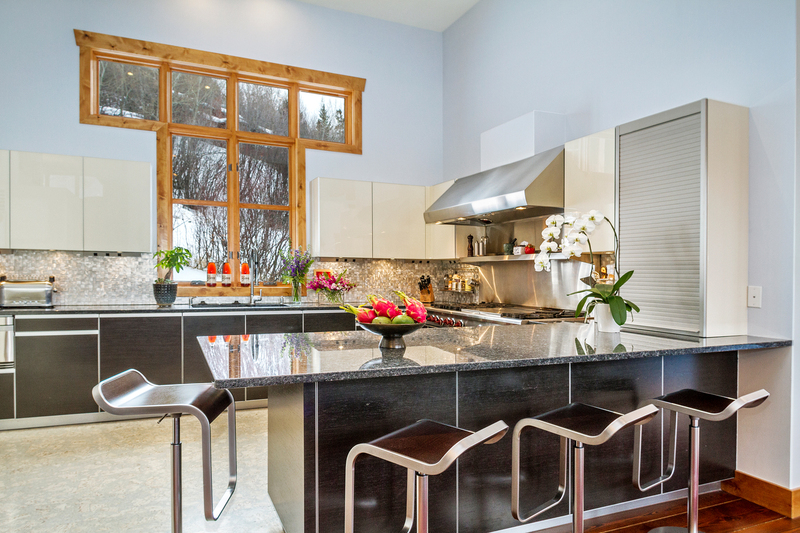 The overall kitchen was designed by Kyle H. Webb Architects in conjunction with Mikal Otten of Exquisite Kitchen Design in Denver and all of the cabinets are by Alno of Germany. 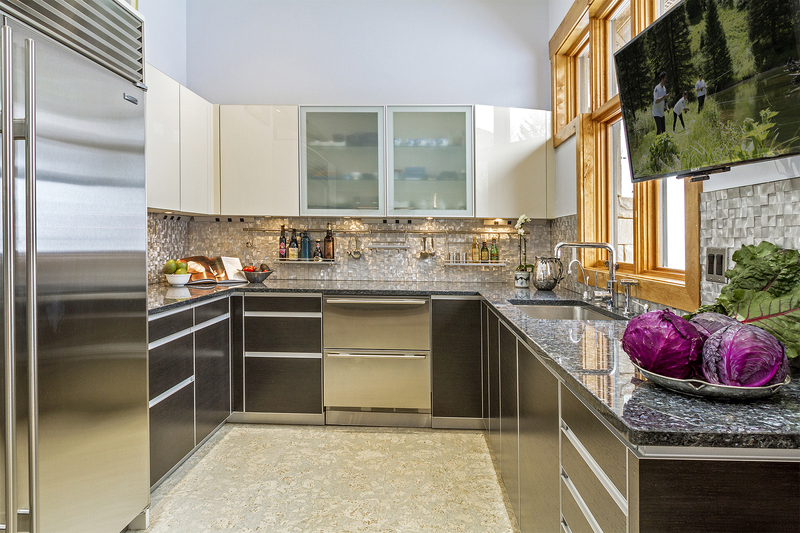 Every detail was considered in creating this kitchen: Natural cork floors make standing in the kitchen easier on the body, a stainless-steel kick-plate make cleaning easier while the crème colored glass cabinets and aluminum backsplash are also easy to wipe down. 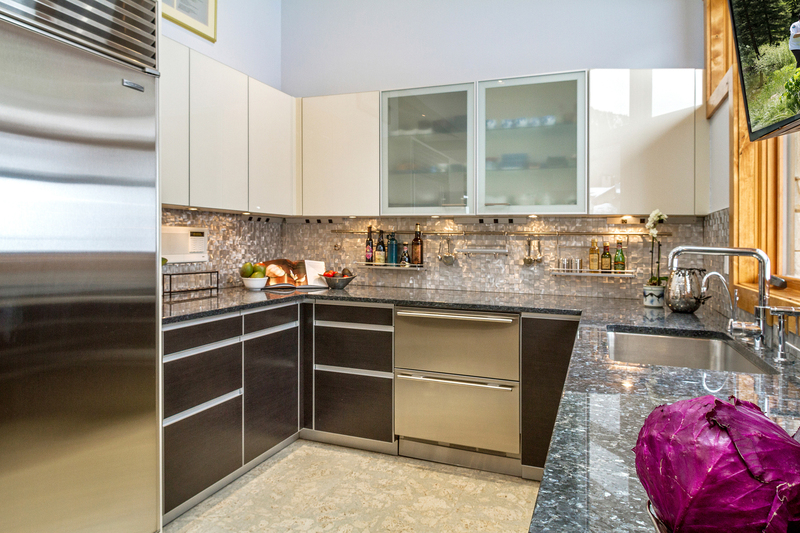 A key component to the kitchen is the traffic flow. 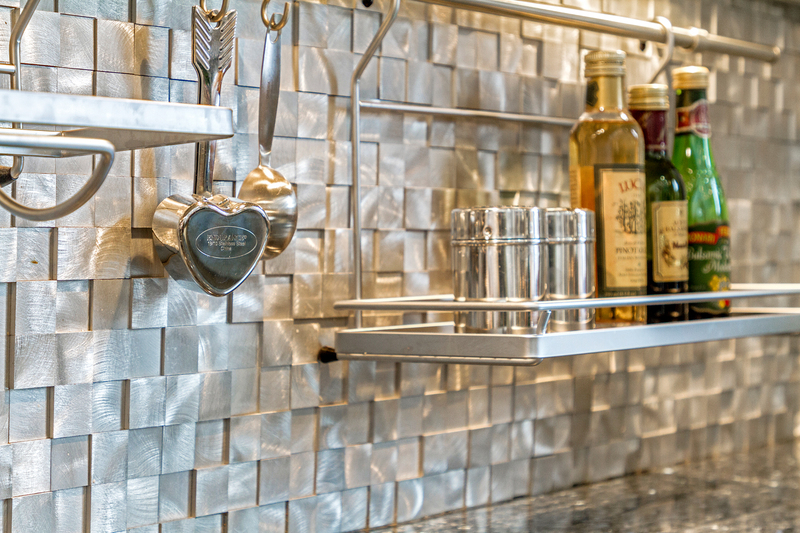 With each area designated for prep and cooking, the custom floor-plan ensures that guests can help themselves to beverages in the wine cooler or at the built-in espresso maker all while not interfering with the cooks. 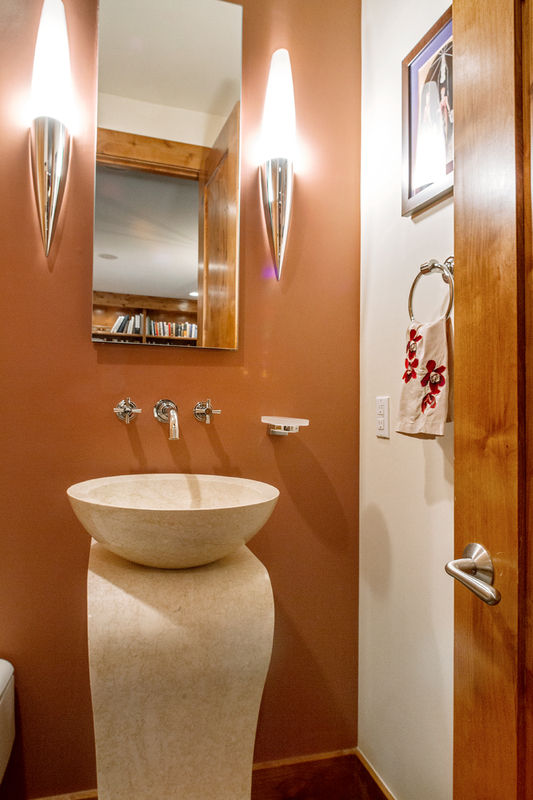 All the home’s fixed finish selections were chosen in collaboration with K.H. 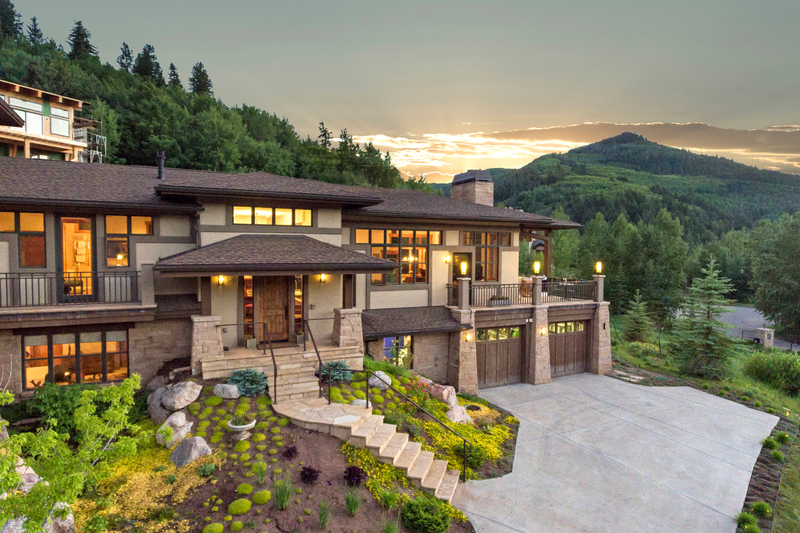 Webb Architects. 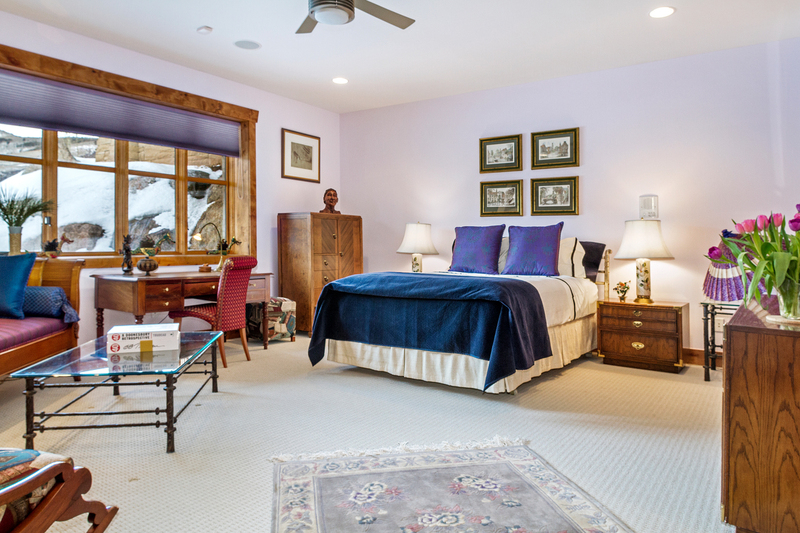 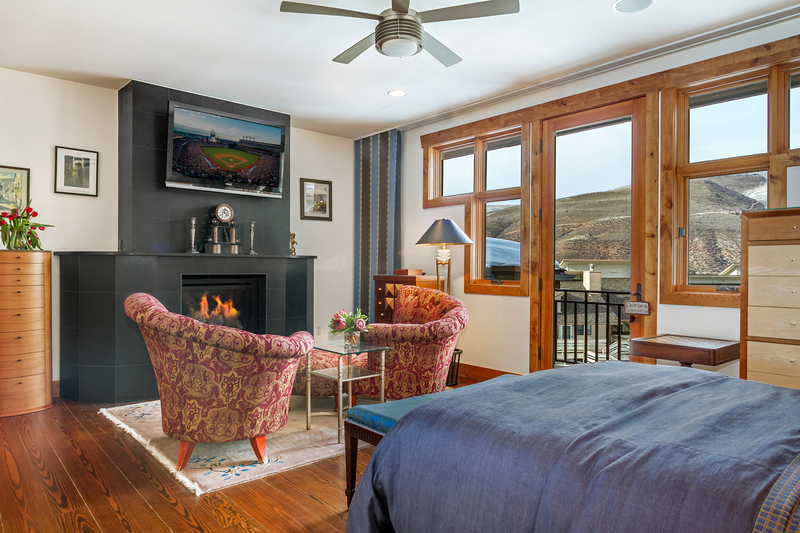 Upstairs, the large master bedroom suite has its own private porch, gas fireplace and walk-in closet. 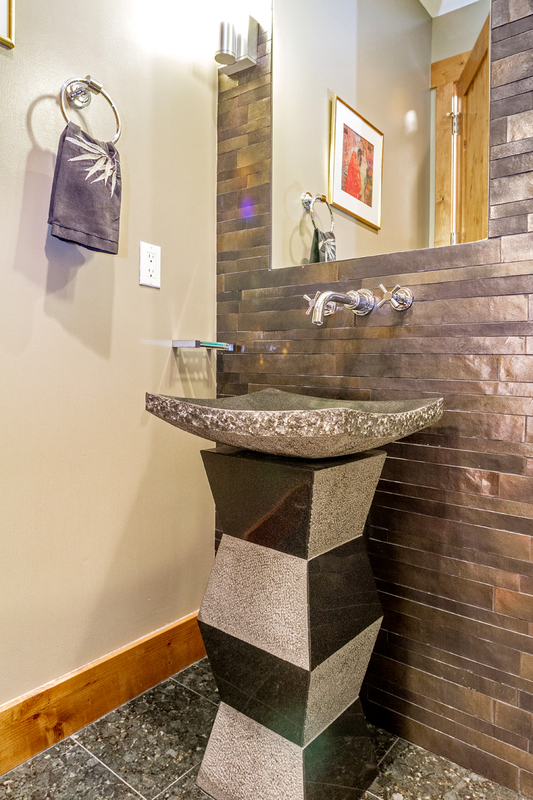 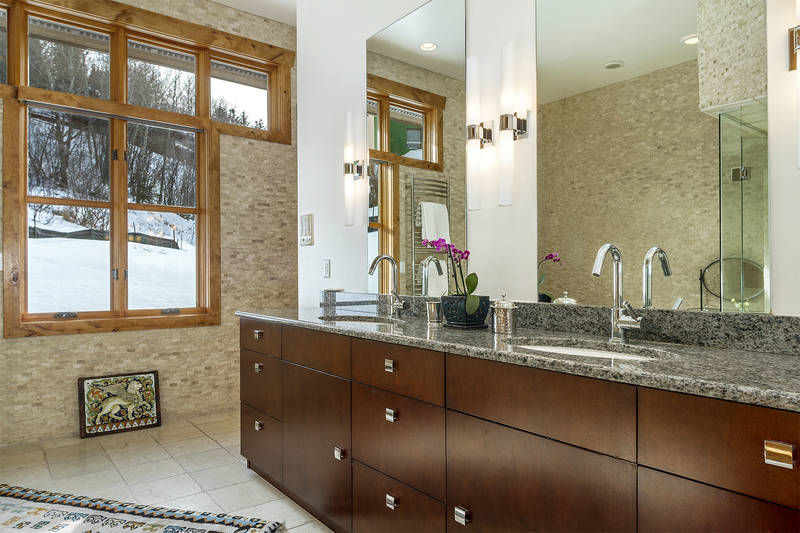 It’s oversized, spa-like bathroom is a relaxing retreat with high-end fixtures, a modern stand-alone tub, dual vanity with granite countertops, heated towel rack and natural stone on the wall that keep it interesting with the rest of the clean lines. 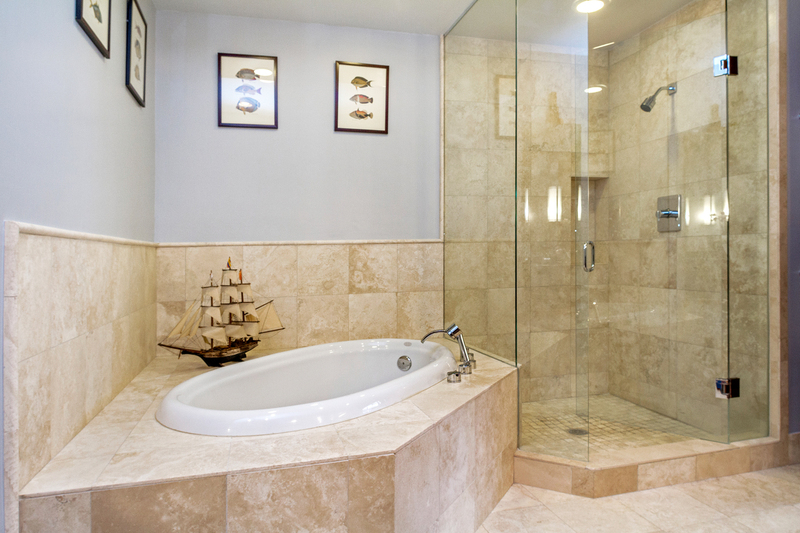 The trio of windows, set away from the tub & shower, let in lot of light while still allowing for privacy. 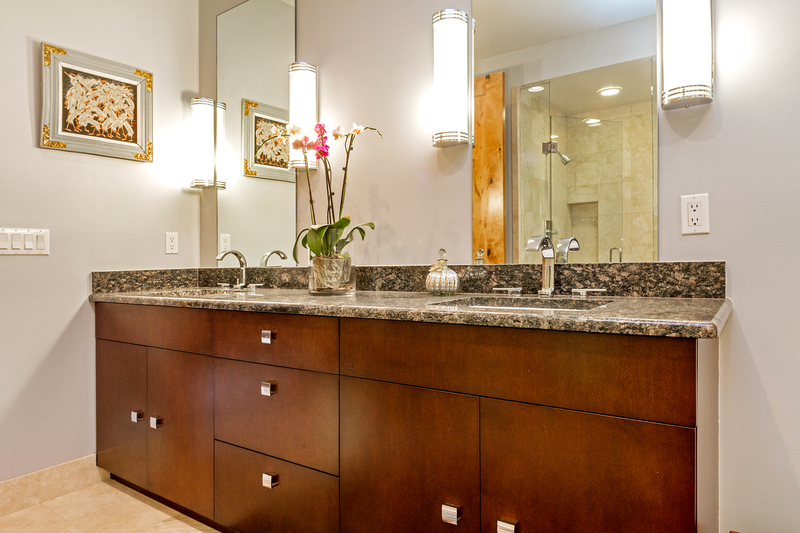 On the lower level two en suite bedrooms feature large walk-in closets and flank an extra family room, which is complete with a wet bar and half bathroom. 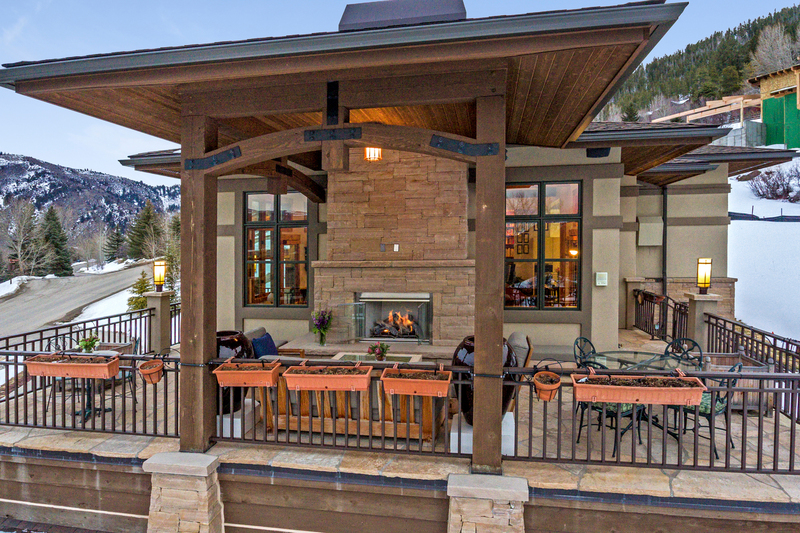 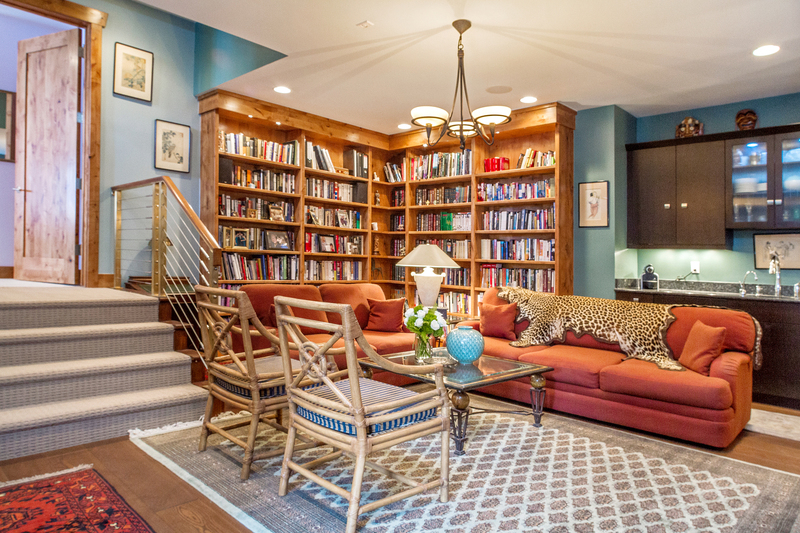 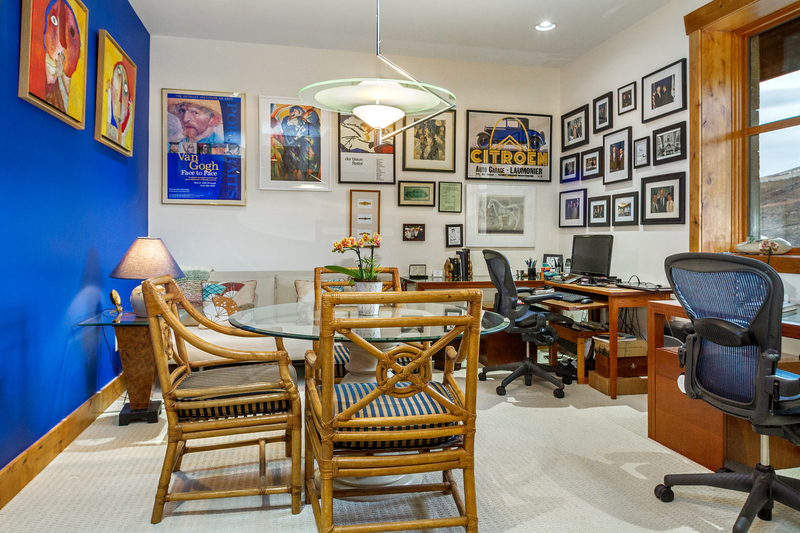 This lower level living space is perfectly suited to serve as a media room, entertain large parties or service more casual family activities— a perfect place to watch the game or have the kids relax after a long day on the slopes. 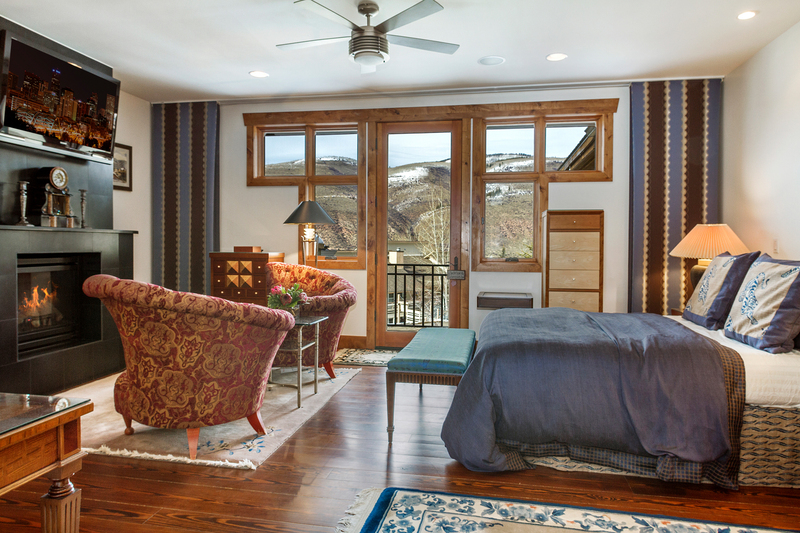 One guest room suite is similar to the floor plan of the upstairs master. 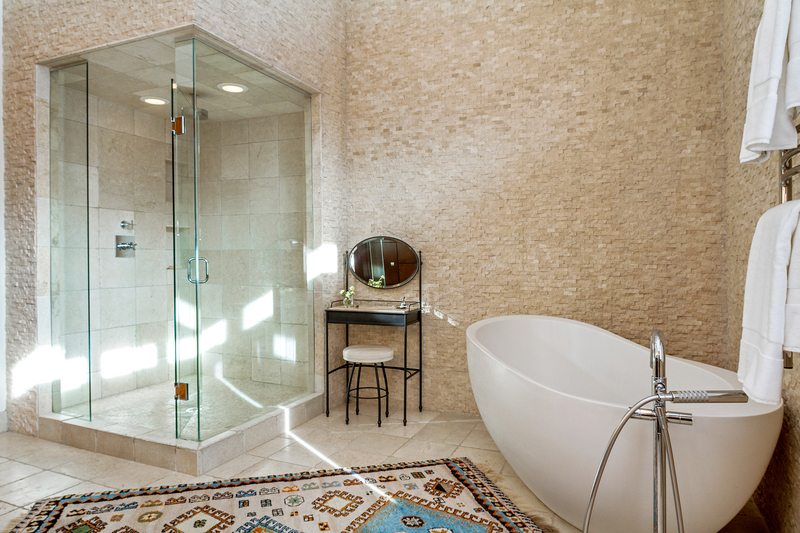 Grand in scale for the bedroom and a sophisticated bathroom with a jetted tub and steam shower that exudes a sense of calm. 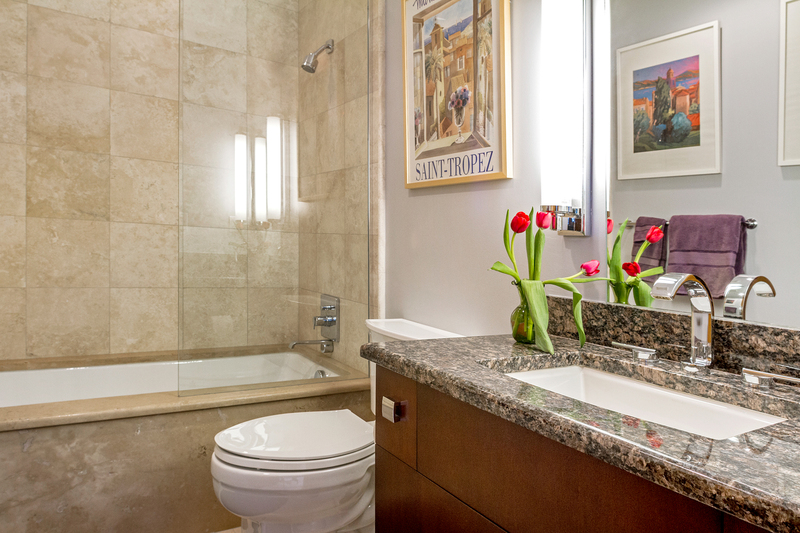 The third bedroom suite encompasses a very large walk-in closet and a bathroom with Euro shower, frameless glass door, for a clean and modern design. 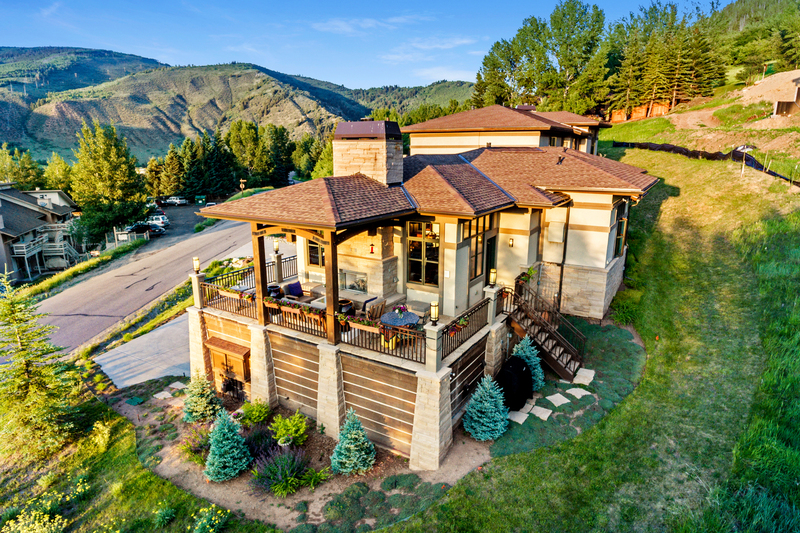 With close proximity to the EagleVail golf course, which is rated among the best public courses in the U.S., the two-and-a-half sized car garage can easily house your golf cart. 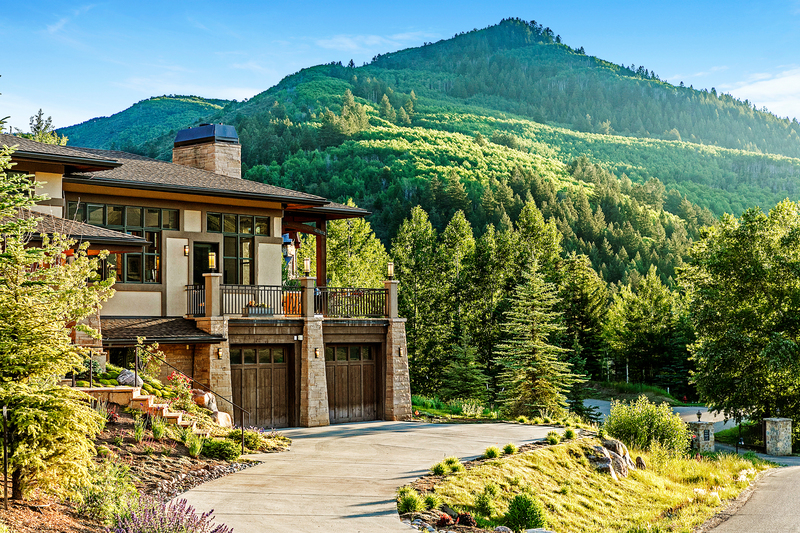 If you don’t need a golf cart because you are only steps from the first tee, you can store all of your other mountain toys or create a workshop in the oversized garage. 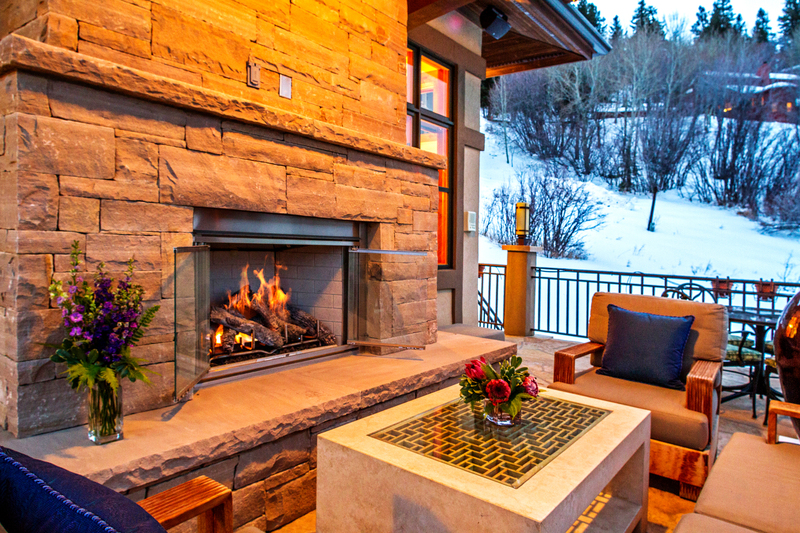 The heated driveway, stairs and entryway as well as the terrace and balcony ensure you have very little outdoor maintenance in the snowy months. 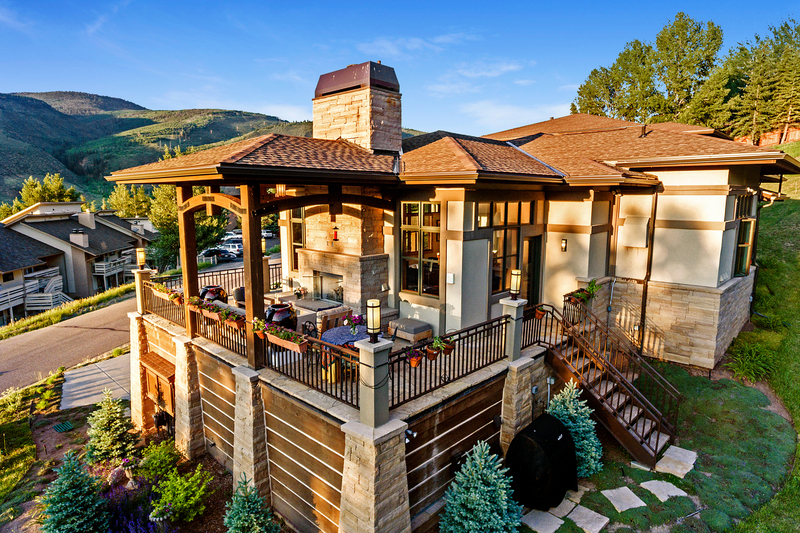 The system has enough capacity for an additional 100-square-feet to keep a path to an eventual hot-tub in the backyard free of snow. 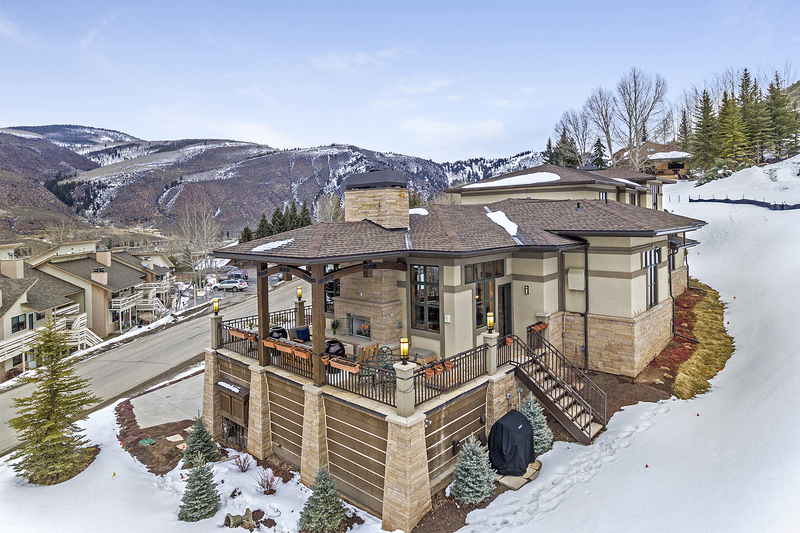 EagleVail is a multi-faceted mountain community located in the heart of the Vail Valley and just minutes from world-class skiing in Vail and Beaver Creek, Colorado. 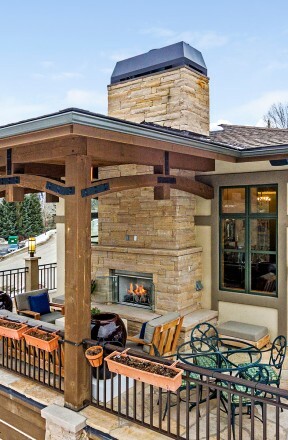 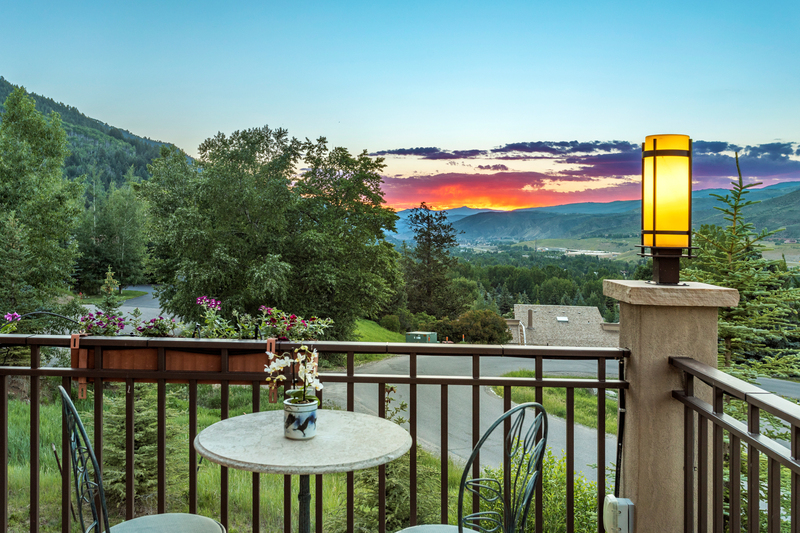 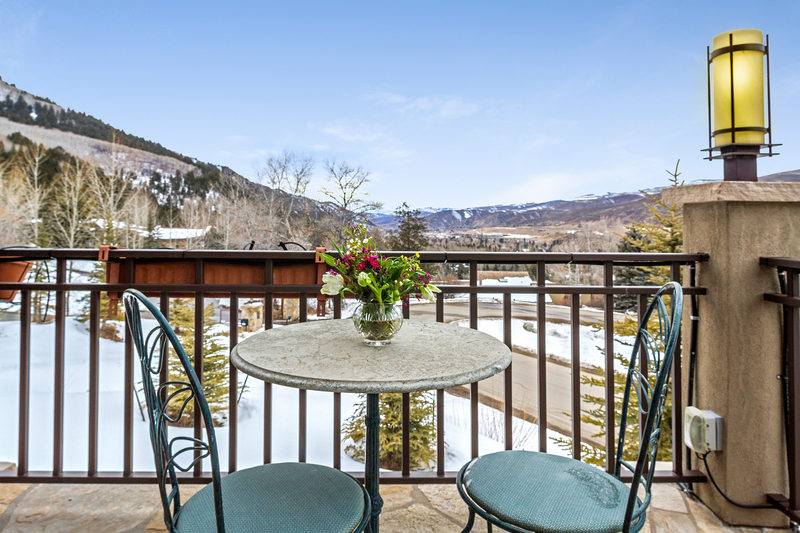 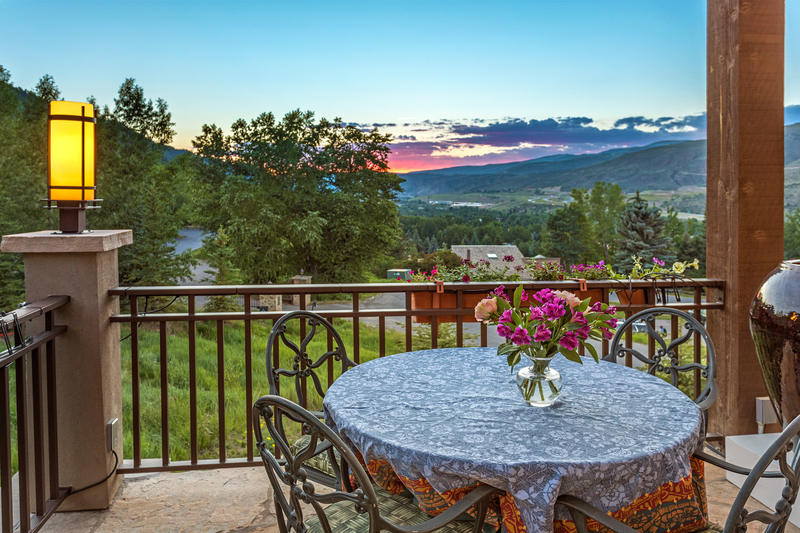 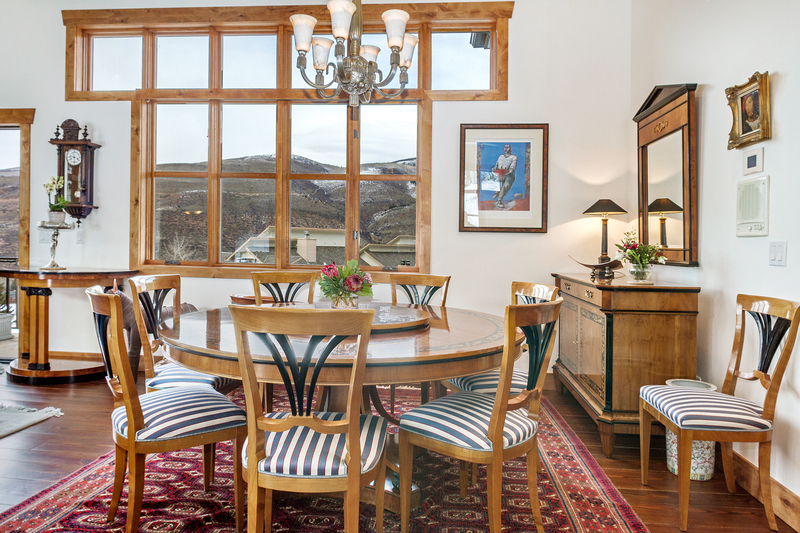 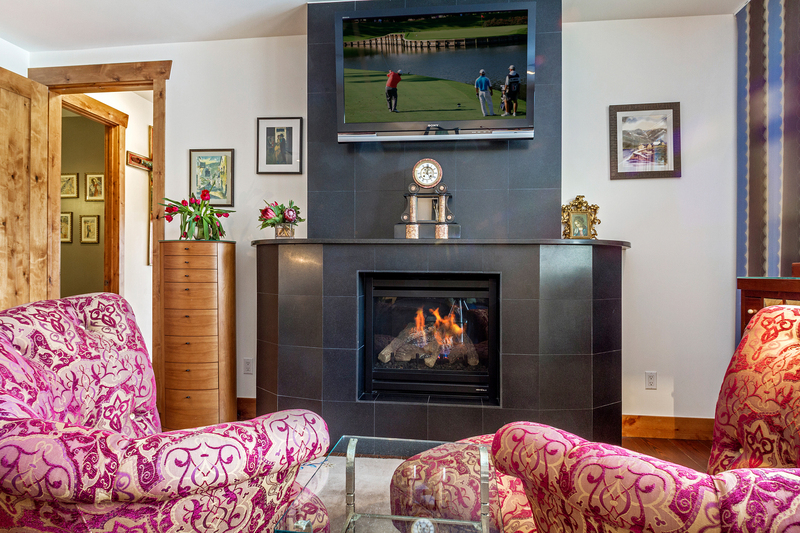 EagleVail's amenities include the EagleVail Golf Club, swimming pool, tennis courts, community parks & sports fields as well as both hiking and biking trails.